We are delighted to announce that Dermalux has won ‘Best Manufacturer in the UK’ at the prestigious 2018 Aesthetics Awards. This exciting win continues a six-year winning streak at the London-based awards where Dermalux won ‘Best New Treatment 2013’, and ‘Treatment of the Year’ in 2014, 2015, 2016 and 2017. Recognition for excellence in medical aesthetics is so important and the Aesthetics Awards acknowledges and rewards practitioners, companies and organisations that endorse best practice, deliver outstanding customer service, demonstrate unprecedented skill and who uphold robust ethics in the field of aesthetic medicine. More than 800 guests gathered at the Park Plaza Westminster Bridge Hotel in London on Saturday 1st December 2018, to celebrate the incredible achievements of brands, clinics, practitioners, treatments and distributors in 26 categories across the entire industry. 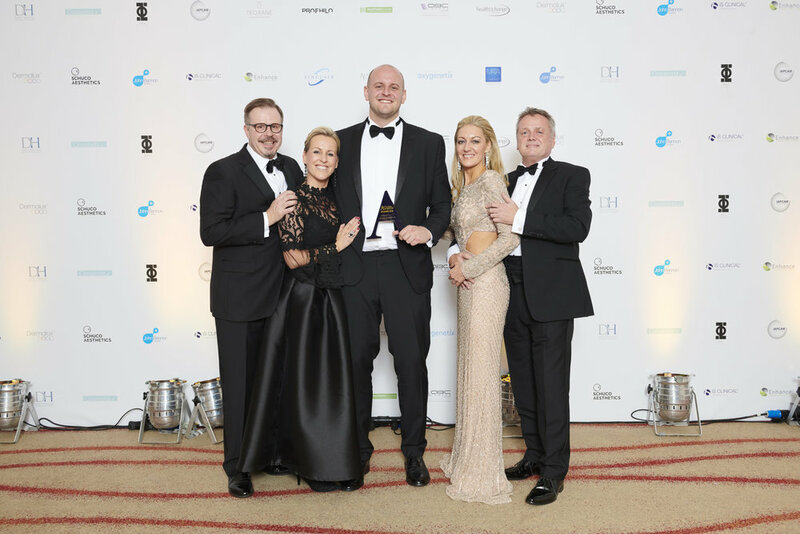 Dermalux beat out other commendable finalists, including Lynton Lasers and Sterimedix Aesthetics to claim the incredible ‘Best Manufacturer in the UK’ title. This award recognises the manufacturers who offer an up-to-date range of equipment and product development, as well as demonstrating excellent customer service and ongoing support for practitioners using their products.